1. “To love. To be loved. To never forget your own insignificance. To never get used to the unspeakable violence and the vulgar disparity of life around you. To seek joy in the saddest places. To pursue beauty to its lair. To never simplify what is complicated or complicate what is simple. To respect strength, never power. Above all, to watch. To try and understand. To never look away. And never, never, to forget.” The God of Small Things, by Arundhati Roy. 1.5. “Perhaps it’s true that things can change in a day. That a few dozen hours can affect the outcome of whole lifetimes. And that when they do, those few dozen hours, like the salvaged remains of a burned house – the charred clock, the singed photograph, the scorched furniture – must be resurrected from the ruins and examined. Preserved. Accounted for. Little events, ordinary things, smashed and reconstituted. Imbued with new meaning. 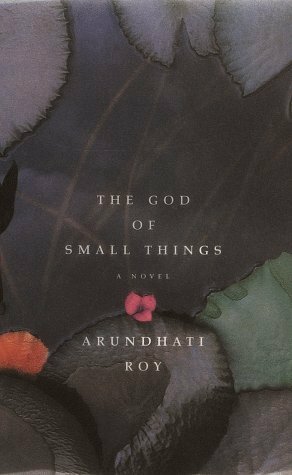 Suddenly they become the bleached bones of a story.” The God of Small Things, by Arundhati Roy. I could honestly pick all ten quotes from this book alone. I can’t explain how much I love it. 2. “I have hated the words and I have loved them, and I hope I have made them right.” The Book Thief, by Markus Zusak. Another one I could pick a hundred quotes from. 3. “These are hours without sleep, which is not to say they’re sleepless, because on the contrary, they’re not about lack of anything, they’re rich and full. Desires, memories, fears, passions form labyrinths in which we lose and find and then lose ourselves again. They are hours when anything is possible, good and bad.” The Reader, by Bernard Schlink. 4. “I felt like I had proof that not all days are the same length, not all time has the same weight. Proof that there are worlds and worlds and worlds on top of worlds, if you want them to be there.” Tell the Wolves I’m Home, by Carol Rifka Brunt. Honestly, it wouldn’t be a list by me if I didn’t include Tell the Wolves I’m Home. 4.5 “You could try to believe what you wanted, but it never worked. Your brain and your heart decided what you were going to believe and that was that. 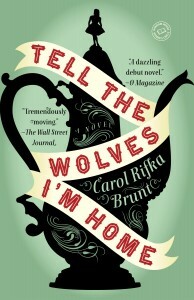 Whether you liked it or not.” Tell the Wolves I’m Home, by Carol Rifka Brunt. I’m really bad at this, I just love this book so much. 5. “Once upon a time, there was a boy. He lived in a village that no longer exists, in a house that no longer exists, on the edge of a field that no longer exists, where everything was discovered, and everything was possible. A stick could be a sword, a pebble could be a diamond, a tree, a castle. Once upon a time, there was a boy who lived in a house across the field, from a girl who no longer exists. They made up a thousand games. She was queen and he was king. In the autumn light her hair shone like a crown. They collected the world in small handfuls, and when the sky grew dark, and they parted with leaves in their hair. 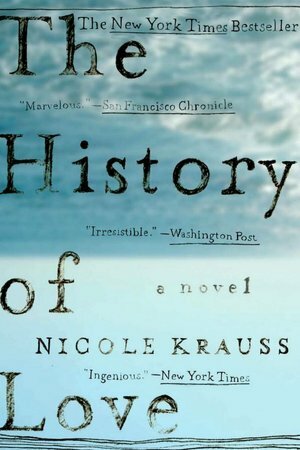 Once upon a time there was a boy who loved a girl, and her laughter was a question he wanted to spend his whole life answering.” The History of Love, by Nicole Krauss. 6. “’People always think that happiness is a faraway thing,’ thought Francie, ‘something complicated and hard to get. Yet, what little things can make it up; a place of shelter when it rains – a cup of strong hot coffee when you’re blue; for a man, a cigarette for contentment; a book to read when you’re alone – just to be with someone you love. Those things make happiness.’” A Tree Grows in Brooklyn, by Betty Smith. CLEARLY what I should have done was pick ten quotes from ten books because I am having an impossible time doing this, wow. 7. “There are treasures everywhere…it’s a treasure if you love it. It doesn’t matter how much it costs, or whether anyone else wants it. If you love it, you will treasure it.” Glaciers, by Alexis M. Smith. 8. “I hope that one day you will have the experience of doing something you do not understand for someone you love.” Extremely Loud and Incredibly Close by Jonathan Safran Foer. 9. “Francois Rabelais. He was a poet. And his last words were “I go to seek a Great Perhaps.” That’s why I’m going. So I don’t have to wait until I die to start seeking a Great Perhaps.” Looking for Alaska, by John Green. 10. “By then I knew that everything good and bad left an emptiness when it stopped. But if it was bad, the emptiness filled up by itself. 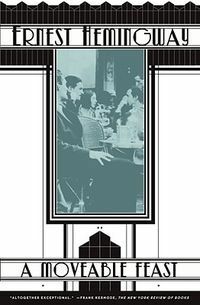 If it was good you could only fill it by finding something better.” A Moveable Feast, by Ernest Hemingway. This has been the longest post I’ve probably ever done, but I enjoyed every minute of it because I love all of these so much. What are some of your favorite quotes of all time? This post is so full of beauty and awesomeness I can’t form cohesive thoughts. The one you picked from Looking for Alaska is one of my favorite quotes ever!! 🙂 Awesome list! It makes me want to read these books more.